When you discuss Web Video, think face to face, full color, motion graphics, appropriate music and sound, and in high definition Web Video takes you front and center to your audience and lets you communicate with all the visual cues that a live performance gives. Nothing works as powerfully and efficiently to tell your story. Today, any organization can bring the power of video to their web site. 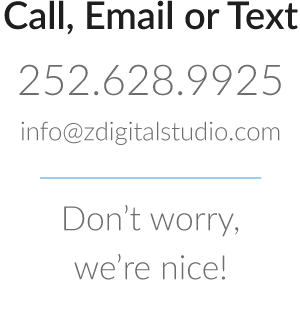 Z Digital Studio is a full service provider offering everything from script to delivering the codecs to your web host. Adding a web video is as simple as adding a Video Button or a video window on your site. Web Video is about communication, and the possibilities are amazing. Client web video testimonials, a demonstration of your product, providing a spokesperson for your business or explaining the entry point of your product or service are four common uses for Web Site Video. Because high speed internet users are expecting a richer web experience and they now account for over 70% of internet users. Video on your web site is a strong drawing card to new visitors and is proven to keep visitors on your site longer than sites with no video. Google has even announced publicly that they will now favor sites with video in their algorithms because they have noticed that such sites retain visitors longer than sites without video. Why Z Digital For Your Web Video? Z Digital Studio understands the purpose for using video and web video in business. To communicate and differentiate yourself from the competition. We’re different than other web video producers in that we understand media in all it’s embodiments. TV, Radio, Print, Direct Mail, Billboard. We’re in the communications business because we believe Video, and Video on the Web is the leading edge in effective and efficient use of capital to reach your target audience. We begin each project by listening… finding out your expectations and core objectives. Then we ask the kinds of questions that bring the objectives to a focal point: knowing exactly what you want to say and to whom. Telling your story and delivering a visual statement that delivers your best results is our goal. We create an environment that puts your message in a clear light and delivers an unmatched level of value for your investment.